"Doherty spins a rich, complex tale of murder in this gripping ancientEgyptian mystery." 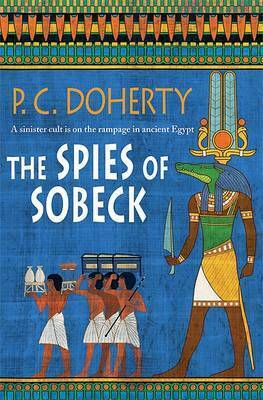 "--Publishers Weekly "(starred review) on "The Poisoner of Ptah " Chief Amerotke returns amidst murder and treason to solve a mystery and stave off the threat of war. P.C. DOHERT Y is the author of several acclaimed mystery series including The Sorrowful Mysteries of Brother Athelstan, the Hugh Corbett medieval mysteries, and the Canterbury Tales of Mystery and Murder. He lives in England.